The financial benefits of becoming a travelling nurse cannot be overstated but it also depends on how financially savvy you are are. Becoming a travelling nurse affords one the opportunity to earn a lot in a very short period of time depending on how far you are willing to travel. With a travelling nurse, and depending on how your travelling nurse company operates, you can either get paid the stipend or get affordable housing or if you choose to travel to a city where you have friends or family, then you can easily pocket the housing allowance. Nurses are becoming vocal and increasingly independent on how we want our professional lives to be. More nurses are getting into the driver’s seat and steering the course of their careers. You get to pick your location- As long as you are able to get the license of the state that you plan on travelling to, it becomes very easy to travel anywhere. Even more better for you is if you hold a compact RN license- the opportunities are plentiful. More Experience: Imagine having to walk into a completely different settings with different equipment, culture, and PEOPLE! It’s almost a freak out, right? Wrong! As you take on more travel opportunities, the more adept you will become in communication and managing different experiences that you come across. Financial Gain- The financial gain is not to be underestimated especially when you are willing to pick overtime here and there. It does add up! The main thing is to be sure not to spend it all but to be able to save and then invest it into a good opportunity, in this way you savings is not lying dormant in a bank somewhere but is working for you. Networking- With being a travelling nurse, you get to network and meet new people and opportunities everyday. Who knows? You just might come across one that would be too hard to resist. Put yourself out there and get to meet people and let them meet you and always remember to put your best foot forward. See New Places- If you are considering a relocation, a travelling opportunity allows you to travel to that place to check it out WHILE still earning income. What is there not to love? But before you do go on your first assignment, make sure to research all the companies and find one that best meets your needs. Ask friends, google it up…just as much as you want to invest your skills and expertise in travelling, you need to make sure that you find a company that does likewise. 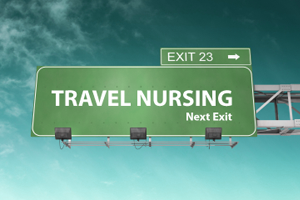 Travel nurse companies are in existence because of nurses- don’t let anyone short change you! Before I started nursing school, I was very personable and jovial. People always loved to be around me. Fast forward to two years after becoming a nurse, my personality has become moody and disgruntled. When I started nursing school, I was all gung-ho and hyped about the amazing experience that it would be but what I was told and what I actually experienced have been two very different things. I am very discouraged now and considering leaving nursing. Please help! It is always a great progress when people can recognize what they feel and are able to put it down on paper. Kudos ! 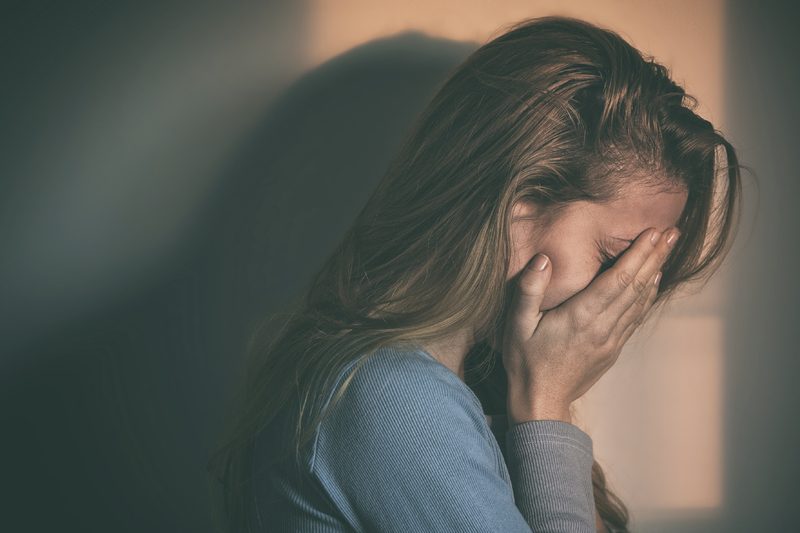 Unfortunately, what you are currently experiencing is not unique to you- many people go into nursing with honorable and great intentions but the reality of the work place sometimes beats them down. But understand this- THESE FEELINGS WILL PASS. Most nurses have been through this stage- I went through it myself. It is only a hump that if you keep determined, you will overcome. Here is one tip to help you over that hump- diversify. I need you to do something different (nursing related) from what you are currently doing now- it could be travel nursing, dialysis etc, but it needs to be different from what you area you are currently in now. One of two things will happen- you will either love the new area or you will grow a greater sense of appreciation for what you are currently doing now. Please keep us informed on how this goes- I am rooting for you all the way. Four ways to create a positive orientation experience is a guideline targeted towards employee retention. It is a very true saying that, “knowledge is power” but we need to realize that not all persons are good at impacting knowledge.Knowledge does not translate into being a good instructor! A good orientation can make or break a new employee- they already have enough to learn, don’t make an already hard situation even harder. A Good Preceptor- Consider having your preceptors as being voluntary with adequate compensation. Plan ahead with the preceptor, make sure it is acceptable with them. Some people love to teach and make excellent preceptors and best of all are willing, it is these people that should make preceptors. Make it formal- The best way to make sure that learning/techniques are standardized is to make certain that it is written down. The guidelines have to be reproducible every single time- this best helps new employees on a formal policy or technique to refer too when they are independent and questions arise for them. The Experience- A good and solid foundation is the best for any new employee- it creates a positive experience and such employees are better firmly grounded and willing to withstand difficulties within the workplace should those happen. A positive past experience (orientation) will make the employee better willing to be loyal to you. Get Feedback- Make it a point to formally and informally engage with your new employees. Ask them about their orientation experience, make changes when needed but keep confidential whatever is shared in secret with you otherwise the trust will be broken. Every company is looking for great talent but not every company is willing to actually do the leg work and invest in the necessary things to recruit and keep these talents. The best hiring decisions that I have made have been those where I went with my gut instincts and really looked at the candidate in question and not just their resume. Look out for passion- You need the passion for the candidate to succeed. By no means, should the candidate be a martyr but they need to have some sort of passion for the job they applied for otherwise you will find that at the first sign of a hint of difficulty, these employees will usually bail out on you and will not be as invested or committed to their work, after all it is only a pay check. Communicate your vision to the candidate- No candidate who has applied for a position in your company or organization is too small. Whatever role they play contributes to the whole of your organization. Let that candidate know how their roles add to the company’s visions. A committed and passionate employee will usually step up to play their role in helping your company achieve its visions. Coach your hiring managers- By no means do you wants automated zombies doing interviews, but if you want to hire right, make sure that your hiring managers understand to add warmth and a personal touch to their interviews. It goes a long way in calming a nervous candidate and building a positive relationship. If you potential employee gets a bad vibe from the interviewer, chances are that relationship will only get worse from there. 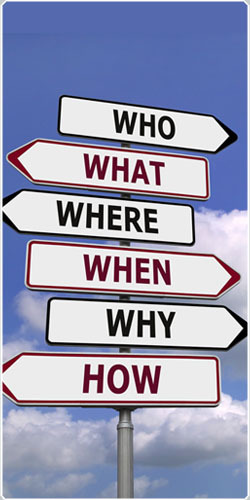 Create an experience for your candidates- Like it or not, potential employees/ job applicants are also your customers. What experience you provide during your interview through hiring/on-boarding phase says a lot about your goals and priorities. So create an experience for them- never forget, you are a marketer at All times. -When you hire right, you won’t have to go through the process of interviewing job applicants constantly. The great thing about hiring right is that the results are reflected positively on your bank statement. If you are willingly and do the heavy loading, in terms of hiring right, proper coaching and investing in your employees, you will reap the rewards of a committed staff who will go the extra mile in making sure that your customers are satisfied.